President Barack Obama is in Jamaica today speaking on his plans to invest in Latin American and Caribbean youth with a new initiative, Young Leaders of the Americas Initiative, which Obama has plans to launch in Kingston, the capital of Jamaica. He traveled the nation yesterday, and visited the sprawling home of the late, great musician, Bob Marley. 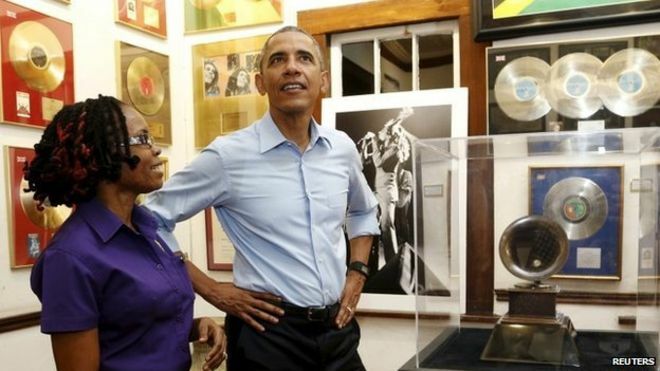 Obama is the first president to visit the West Indian nation since President Reagan went to Jamaica 33 years ago. Before getting into his speech, Obama used a little Caribbean dialect to address his crowd, and it was a hit.